To add works automatically, you can use ORCiD's Search and Link Wizard. Do note, you will have to give permission to the organization's importer (you can change this in your privacy settings at any time). For example, as a humanist, I used to the MLA importer to find my works. 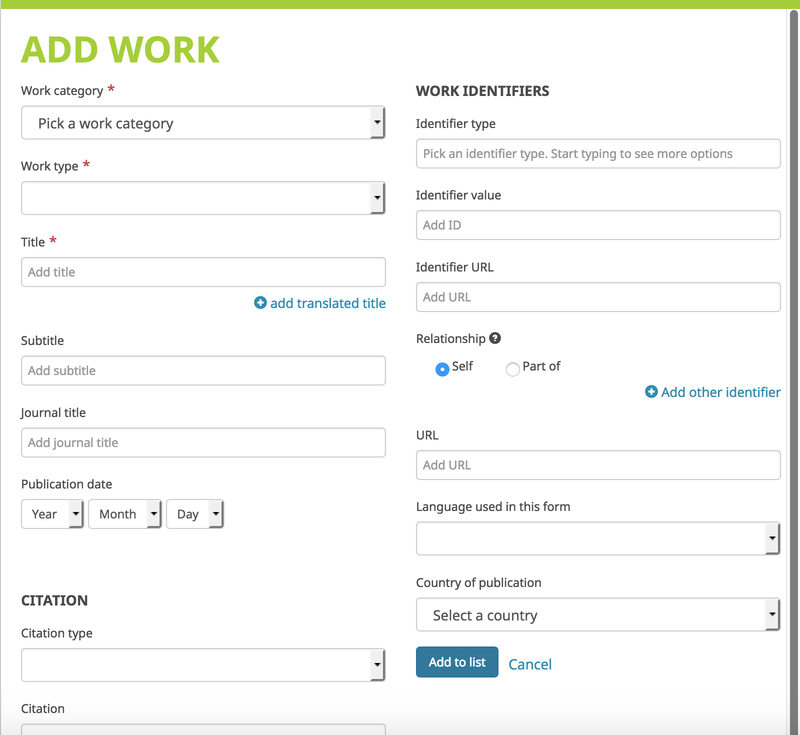 For a tutorial on how to add your work automatically, visit this ORCiD page. If you can't find your work using the import wizards, you can always add it manually. If the import wizard cannot find a work of yours, you can add any publication/work manually by clicking on the "add manually" link when you click "add works." You will be guided through the different fields you will need to populate to register your work.